Though only a few read my blog, still I feel bad for not writing any posts for the past 4 months. Many reasons are there to point out for being unable to write. Two main reasons are: we are busy with our house construction work and the other one is my mobile broke down. I do blog only from my blog, as I do not have a personal computer. Moreover, my little girl wants me to be with her always, she has become talkative, just ditto to me and her maami, we both can never keep our mouth shut :P She is keeping me always busy running around her. Today is one of the luckiest nights, when she slept early (time is 11 P.M), and I am scribbling this post from my ASUS Zenfone Laser 2. 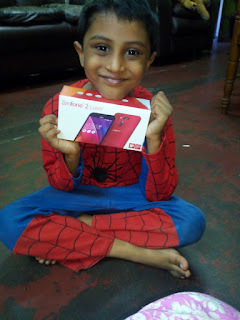 This is my first blog post with this new mobile phone that is loaded with simple but great features, and I bought this mobile phone from flipkart.com using the voucher worth 10,000 I won in the contest “Kellogg’s Chocos ke saath ‘Khuljaye Bachpan’” organized by IndiBlogger. Thank you so much IndiBlogger, Chocos and the judges, for selecting my entry as one of the winning entries. It made me to leap with glee! I am happy to say that I purchased Usha Janome Sewing Machine using the flipkart.com gift vouchers that I received by participating in many happy hours contest organized by IndiBlogger. It is such a great honour and pleasure to say that I am part of IndiBlogger. Million thanks to IndiBlogger for adding happy moments in my life! And I am super-duper happy to write again. Let’s see the magic of writing using ASUS Zenfone Laser 2. Meet you all soon with interesting post. Thank you Renie Ravin. Its my great pleasure. 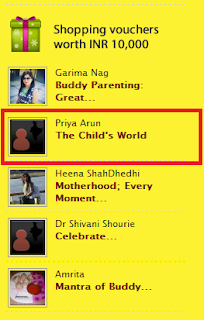 Priya akka, Congratulations to you for the well deserved accolades. Writing comes naturally to you. Love reading your posts... thoughtful and very interesting.